Looking for the first win of 2016, the Concordia Stingers hoped that goaltender Antoine Marchand could help backstop the team to victory in his first start of the season. 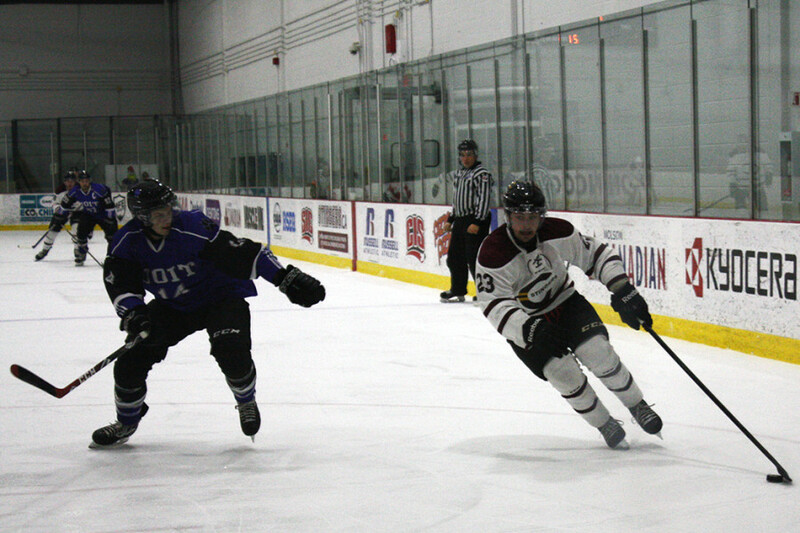 The goaltending change was inconsequential as Concordia lost the game 5-2 versus the University of Ontario Institute of Technology Ridgebacks. Straight from the start of the game, the Ridgebacks hustled and won many battles for loose pucks and eventually scored the opening goal of the game. 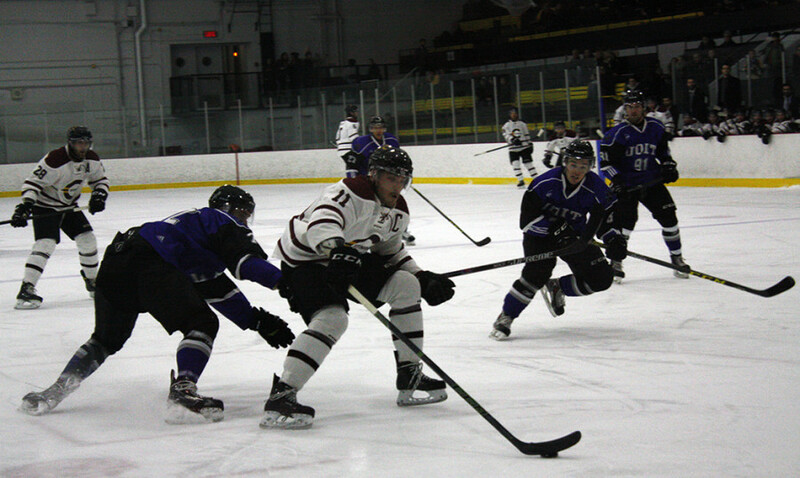 During the second period, Concordia’s powerplay finally clicked. Philippe Hudon scored to tie the game, giving Concordia some momentum. Though that swiftly dissipated as UOIT’s Loren Ulett scored after a bounce that left Stingers goaltender Marchand outside of his net. The Ridgebacks scored again to take a 3-1 lead into the third. Ulett completed the hat trick to extended his team’s lead to 4-1, and the Stingers forward Dominic Beauchemin cut their lead to two after scoring a goal on a bad angle shot. The Stingers pulled the goalie for the final moments of the game, but Ridgeback goaltender Brendan O’Neill made some key saves to stave off a potential comeback, ending the game 5-2. In his first game of the season Marchand made 29 saves on 32 shots. Going forward, the powerplay is an area the Stingers want to improve on. The Stingers will play their next game, away, versus Queen’s on Friday, Jan. 15.